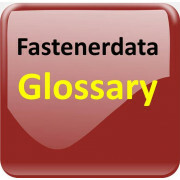 Fastenerdata is the source of fastener supply, specific to fastener products and fastener supply categories. Over 3,000 fastener products with detailed information, fastener drawings, fastener dimension tables, PDF detail and fastener product images. Product top and side menu or ‘Search Our Site’ to rapidly find Bolts, Screws, Nuts, Washers, Socket Screws and many other fasteners. Fastener threads, drives, points and technical information; dimensional comparisons for German, British and USA products. New products showcase, exhibition, glossary and literature rack. Marketed from one of the most extensive databases; containing fastener suppliers, manufacturers, fastener users and fastener specifiers. Website growth through proactivity makes fastenerdata ‘different from the rest’. This year fastenerdata is forecast to have over 180,000 visitors with 600,000 pages viewed; visitor spending just under five minutes on average on the site. That’s a lot of people taking more than a glimpsing visit; they are staying to view fastener dimensional information, technical detail, and looking for a fastener source; making the site addictive and a focal point for fastener information. 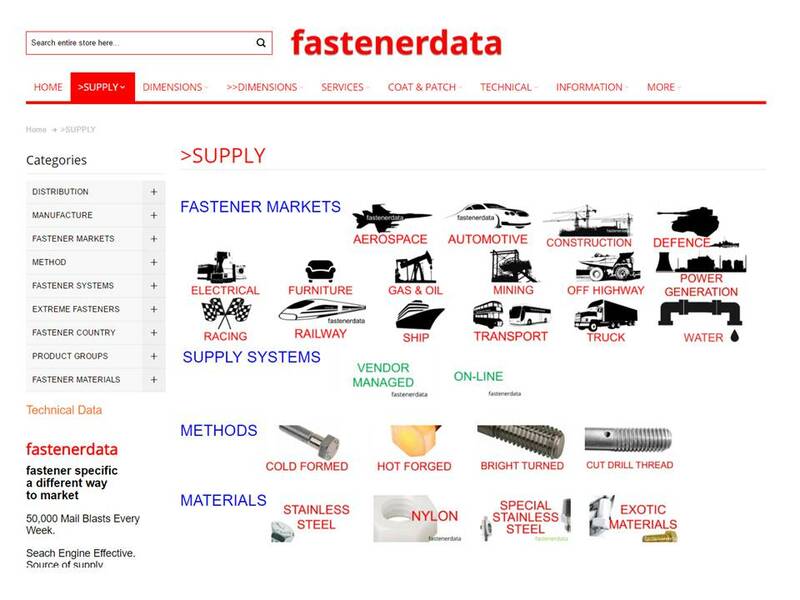 The fastenerdata website is populated with fastener distributors, fastener manufacturers and fastener services, advertising their abilities against specific products or supply categories. Fastener manufacturers and distributors are mailed on a regular basis along with Global fastener companies’ users and specifiers of fasteners; as an advertiser, your service would be included in these mailings. Your own fastenerdata web page with links to your website, your email your videos and anything else you want to put on your page or link too. Web promotion makes your logo visible 24 hours per day, 7 days a week for 365 days of the year. Proactivity is part of the plan for the success of fastenerdata, we have a rapidly growing following of fastener manufacturers, distributors and specifiers visiting the fastenerdata website. Our database increases by 50 or more new contacts every day. Fastenerdata has Google Analytics; following 12 months promotion, we are able to supply visitor numbers for the specific pages where your logo appears. There are many pages on the website where you can place your company logo and a link to your own website; over 3,000 fastener product pages with drawings, images and table data. The below image shows four advertisers logo’s against 8.8 hexagon bolts. The below image if expanded would show 247 different socket head products, these pages also show a product category menu on the left and advertising goes down the right. The complete product range menu is at the top of each page. Have you considered showcasing a complete fastener range; take a look at what these two customers have done. The square advert with your logo is the most popular; the vertical and horizontal strips are also possible if not already taken. Your simple advert can be originated at no extra cost; we need a quality logo image that in many instances can be copied from your website or scanned from your letterhead, examples are below. Supplier category pages are all shown on the home page. This option is for advertisers who consider their product supply group is their strength.